Kick off the New Year 2019 with the fun only found in Asheville and western North Carolina! Here are our top things to do, including the best celebrations and things to do all weekend. Top Small Town Pick: Marion's NYE Celebration on their Main Street includes a lighted "golden nugget" dropping into a 10-foot giant donut that everyone can sample after midnight! Read all about it! Downtown Asheville: While there is no public outdoor event to welcome the new year, there will be plenty of indoor venues to celebrate - including many restaurants, clubs, pubs, live music venues, etc. If the weather is nice, the streets will be buzzing with lots of activity and fun street entertainers. Asheville Restaurants: Many are open late on New Year's Eve and feature a lively bar. Make reservations ASAP! Beer Pubs: Plenty of pubs, breweries and bars to celebrate with local brews! Many are within walking distance in downtown Asheville. Wine & Cocktails: Hang out with your sweetie at a downtown Asheville wine or cocktail bar. The Omni Grove Park Inn: Many options! You don't have to stay overnight to enjoy their restaurants (go to their Web site). Blue Ridge Dining Room will feature the big New Year's Eve Buffet ($70/adult) and a New Year's Day "Good Luck" Brunch Buffet ($45/adult). A very special 5-course NYE dinner in Vue 1913 ($95/person) or special menu at Edison. Stay in style with their New Year's Eve Heritage Celebration Package with two nights of luxury accommodations, Art of Breakfast, plus two tickets to Heritage Celebration Dinner Show, New Year's Eve Nightclub Party and Comedy Show. From $1384/couple. See package details on their Web site. Inn on Biltmore Estate: Bring in 2019 in style with elegance and luxury at the four-star hotel with their New Year's Eve Celebration Package. Toast with Biltmore sparkling wine below a fireworks display. The package includes two nights (Dec 30 & 31), breakfast buffet, four-course dinner (or black tie gala), estate admission, shuttle service, and much more! Rates from $1,720. Go to their Web site. Harrah's Cherokee Casino has live entertainment at multiple locations. Pack’s Tavern New Year’s Eve Buffet and Countdown in downtown Asheville with a buffet 6:30-9 PM ($60/person for buffet & party - reservations limited) and party 9 PM-1 AM ($10/person). Tryon, NC: This small town has the first New Year's ball drop - at 10 PM! Their "Midnight Tryon" street party runs 7-10 PM. Free. Kid friendly. Tryon Resort & Intl Equestrian Center has a grand buffet and dance party (cocktail attire) included in an overnight package in their inn or cabin ($250-$299/couple). Jack of the Wood: Live music at a lively English pub, starting at 9 PM. 95 Patton Ave, downtown. 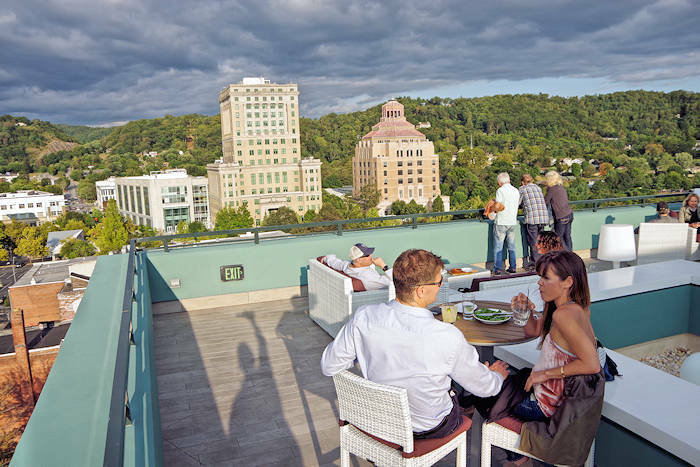 Montford Rooftop Bar: NYE Party on the rooftop bar atop the Hyatt Place Hotel in downtown Asheville 9 PM-12:30 AM. $125/person, very limited tickets include 3 drinks, 2 small plate and toast. Strada: Celebrate An Authentic Italian Tradition, Feast of the 7 Fishes, 4-11 PM on New Year's Eve. Open New Year's Day 4-9:30 PM. Downtown at 27 Broadway. Mountain Magnolia Inn: Celebrate in a romantic 150-year-old inn in Hot Springs with a 4-course dinner, live music, and champagne toast. Stay the night and enjoy a New Year's Day brunch with mimosas. $100/person - overnight accommodations additional. Season’s at Highland Lake Inn: New Year's Eve 4-course dinner, 5-9 PM, $80/person. New Year's Day buffet 11:30 AM-2:30 PM, $27.95/adult. Flat Rock. 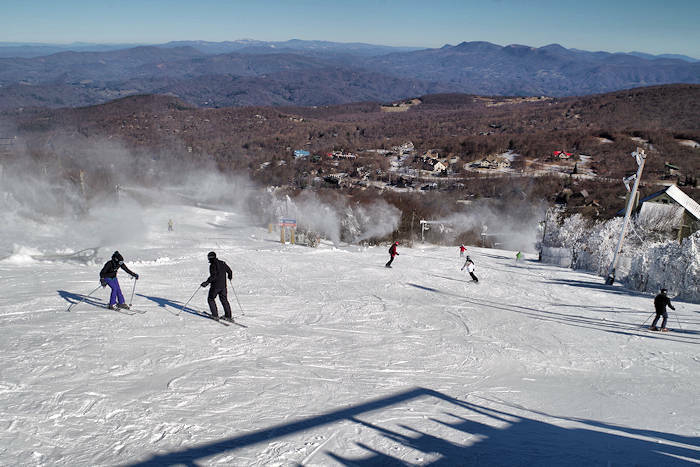 Beech Mountain Ski Resort: New Year's Eve with live music, games, ice skating, dancing, and fun after a day of skiing and snowboarding. Adult party starts at 7:30 at Beech Tree Bar with live music and dancing. Fireworks too! $10-$25/person. Rumbling Bald Resort: Stay the weekend on Lake Lure and enjoy their big New Year's Eve grand dinner and celebration ($54/person) at Legends. Asheville Symphony Orchestra special concert will have you on the edge of your seat. Cirque Musica’s Crescendo combines pops and classical music performed by the Symphony paired with high-flying performance featuring jugglers, acrobats and contortionists at Thomas Wolfe Auditorium downtown 8 PM, from $30/person. Call 828-254-7046 or go to www.ashevillesymphony.org. Stay in Style: Be pampered in one of the fabulous bed and breakfast inns in and around Asheville. Or get away in a cozy cabin or vacation rental or highly-reviewed hotel. Winter Lights at NC Arboretum: Stroll through the wonderland in the gardens. Open both New Year's Eve and New Year's nights. Read all about Winter Lights. Biltmore Estate: Biltmore Estate is open on New Year's Eve and New Year's Day. See America's largest home decked out in festive finery! Restaurants are open (make dining reservations in advance). Also buy admission tickets in advance since those dates will probably sell-out. See our Christmas at Biltmore Guide. Get Outdoors: Start work on that New Year's resolution to lose a few pounds and get in better shape! 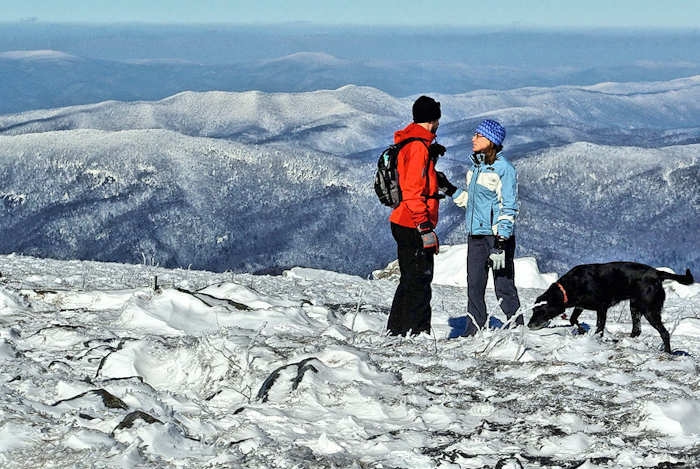 Take a winter hike and enjoy views through with leafless trees, cool temperatures, and few fellow hikers. See our hiking guide for top picks. All trails in the National Forests are open every day. And don't forget to find some of our spectacular waterfalls (most waterfalls are open on New Years Day, including DuPont State State Forest and Gorges State Park). Ski: Area ski resorts will be open all weekend, weather permitting. First Day Hikes: The North Carolina's state parks system will offer free guided First Day Hikes on January 1, the perfect chance to begin the New Year with exercise and a reconnection with nature. 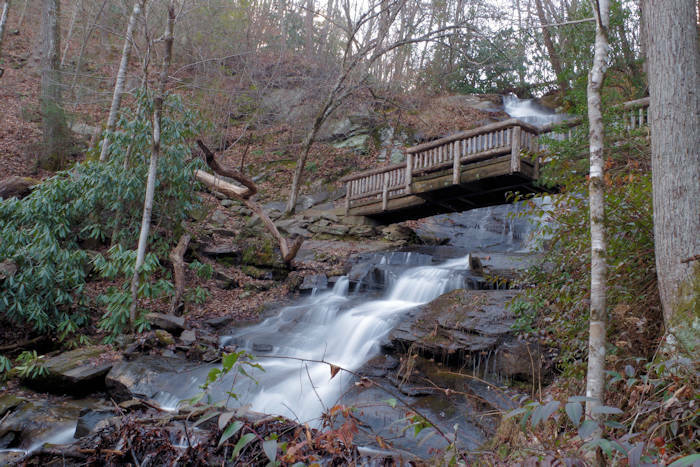 Read about First Day Hikes near Asheville. Shop: There's plenty of shopping options to find after holiday deals. Browse shops in Downtown Asheville (free parking on New Year's Eve & Day). The Asheville Outlets are open both December 31 and January 1. For more great local shops with unique gifts, explore the cool small towns in our mountains. LaZoom Comedy Bus Tours: What a fun outing with friends and family! Take the zany tour on the big purple bus. Make reservations in advance. Read more about LaZoom Tours. 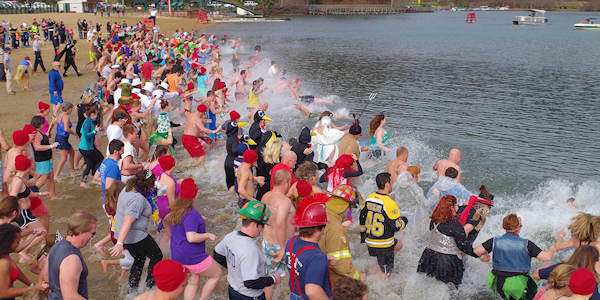 New Year’s Polar Plunge: Take the plunge into chilly water at Lake Lure on January 1 and freeze for a reason – to support local charities. Read more about the Polar Plunge. 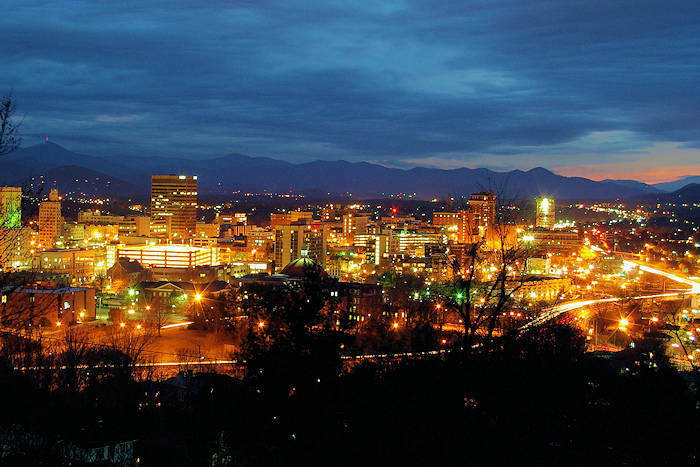 See our Asheville Holidays Guide for more! What are the best places for a drink in downtown Asheville? Unwind with a drink and conversation at one of our friendly wine or cocktail bars.